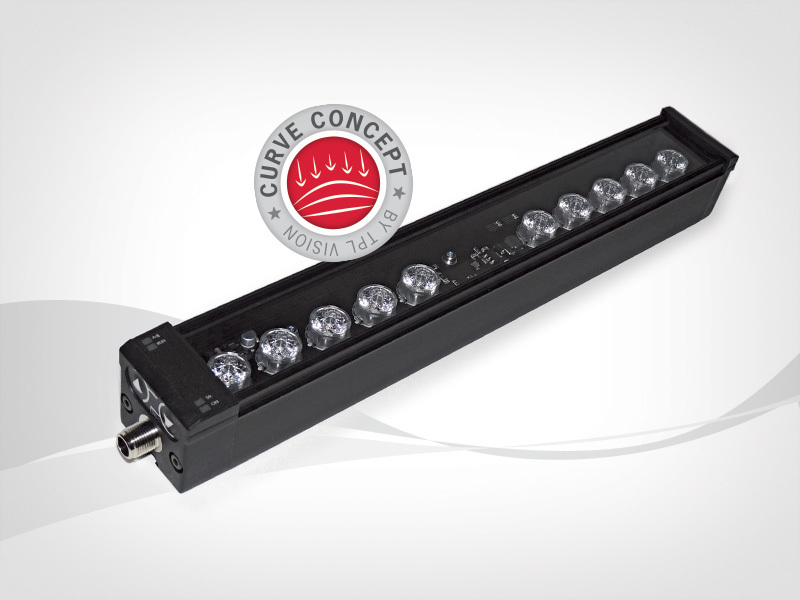 The EBAR Curve is a high power LED solution. It has been developed to ease the integration process and helps you achieve the best balance between brightness and homogeneity. The curve effect works by reducing the saturated light spot in the centre of a cameras Field of View (FoV). 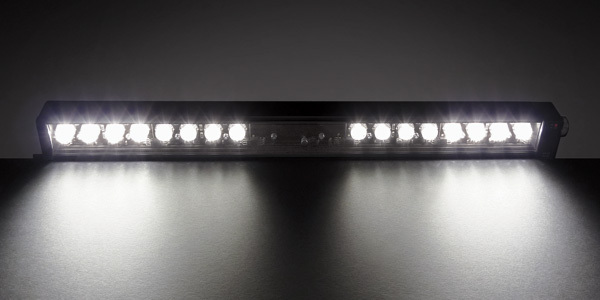 By reducing this spot, uniform illumination across the FoV can be achieved. 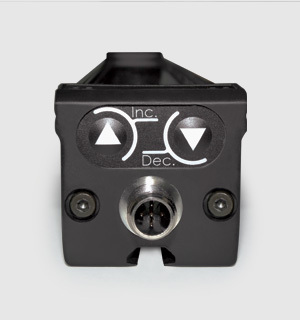 This new development in machine vision illumination allows for smaller barlights to be used, giving you savings spatially and economically. 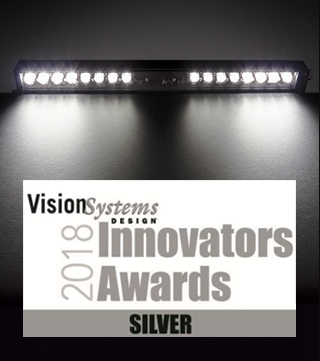 Don’t spend time wondering how to settle your machine vision system . 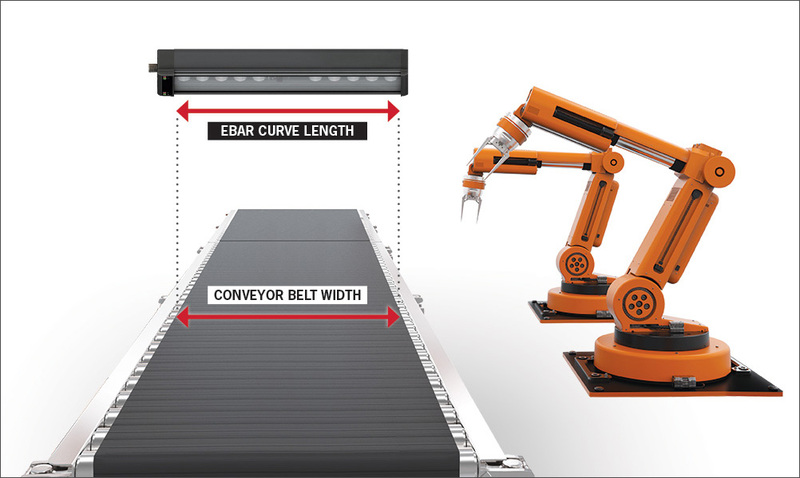 With the EBAR Curve, you know that the bar length you need is equivalent to the FoV width (Field of View). It’s as simple as that ! By using Increment (Inc.) and Decrement (Dec.), the curve effect can be easily changed. At its maximum, the product will have the peak homogeneity, while at its minimum, the product will have the peak brightness. TPL Vision are identification, robotics and machine vision illumination specialists. TPL Vision knows that responsiveness is a key issue in your business. That's why we only work directly with our customers and not through a distribution network.